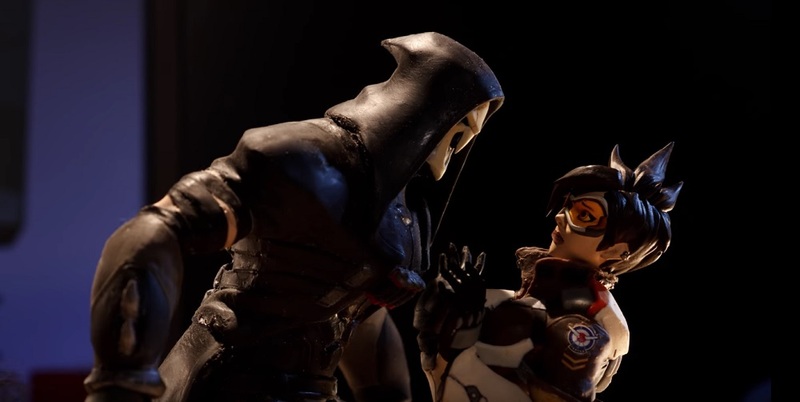 The second anniversary of Blizzard's online shooter Overwatch is just on the horizon, as part of the celebrations, the developer/publisher has released a wonderful new video, Trace & Bake, using stop-motion animations of some of the game's most recognisable characters. Stop-motion was used in abundance when I was a youngling, but has since died out a little due to its time-consuming, painstaking process, often only seen sporadically today in shows such as Robot Chicken. Here, it makes a welcome return, as happy-go-lucky Tracer attempts to get emo-boy Reaper into the spirit of things.